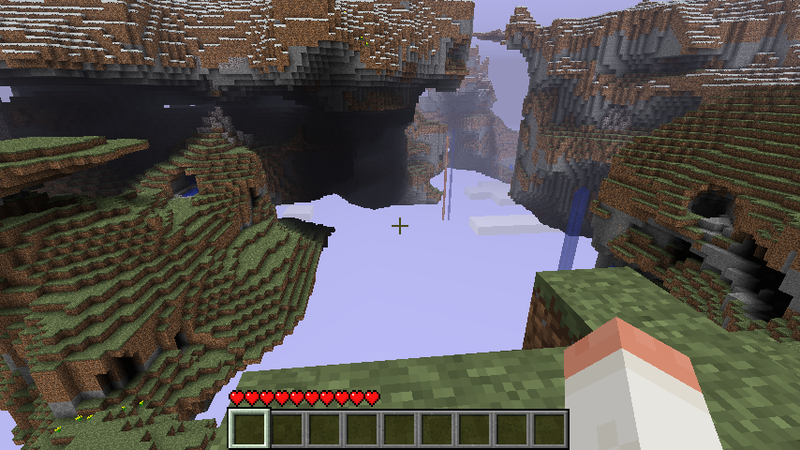 That's some pretty awesome terrain. Some screenshots taken at robskemc.dyndns.org. These are screenshots of mods which implement a sort of Aether and a space-like thing. Both of these worlds are connected through admin-created gates, which act as spawn points for those worlds. You're free to have a look for yourself there!